The words ‘through Christ’ are key words in this verse. We are empowered ‘through’ Christ The man who was called Jesus of Nazareth is now called Jesus Christ. ‘Christ’ means Messiah or anointed one. ‘Christ’ is his title and position. The Messiah came to save us from a life without God. The ultimate goal of the ministry of reconciliation is bringing man into a relationship with the creator. Jesus Christ is the mediator between God and man. According to the New Testament, we can have the spirit of God individually in our lives, if we so choose, by confessing Jesus Christ as Lord. We can be strengthened (empowered) because of his life. Philippians 4:13 doesn’t say I can do some things, or anything I want to do. It says ‘all things’ pertaining to the things mentioned in the verses leading up to Philippians 4:13. In the context of the verses around it, that means that no matter what is going on, Christ is there to strengthen and empower us. 11 Not that I speak in respect of want: for I have learned, in whatsoever state I am, therewith to be content. 12 I know both how to be abased, and I know how to abound: every where and in all things I am instructed both to be full and to be hungry, both to abound and to suffer need. The world offers many remedies to the pressures of life, most of which never lift us out of pressures. Instead they often lead us down another rabbit hole of mundaneness and madness. Religious performance, culture, education, drugs, obsessions and pressures all darken our view to the sky. Guilt and shame dig the hole deeper. This time of the year many people celebrate the nativity of Christ, but Santa seems to get top billing. St Nick may be a jolly ole fella, but he is not the savior. Santa may reconcile us with the mall, Amazon, or quaint traditions, but he doesn’t come close to pulling us closer to our heavenly Father. Jesus as the Messiah does! He doesn’t do it with guilt and shame. God’s love draws us in. All of the great men and women of the Bible had darker sides but they chose to accept God’s love and opened their hearts to him and their minds became flooded with warm encouraging light. The magi were led by light to the greatest event in the history of the world, the birth of God’s son. 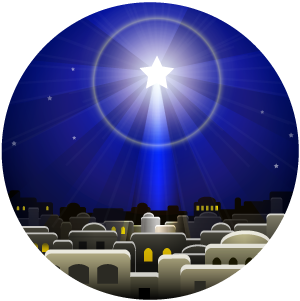 Jesus Christ is the brightest star in the world today. The Hebrew word for ‘asked’ (H7592) is used 40 times in both books of Samuel. Samuel’s name, according to Hannah means asked of God! I think that is pretty significant. Most of these uses are translated as ask, asked, and enquired. There are several ‘salute and ‘greet’ which involve “asking thee of peace” as asking after one’s welfare and offering peace. Another English translation of sha’al is ‘lent’ which connotes asking to borrow something. The word ‘lent’ doesn’t seem to fit exactlyt here. It may be an error in translation. Does a person ‘lend’ their child to God? God had granted Hannah’s petition with a child that would serve God all the days of his life. After Samuel’s birth Hannah was full of joy and thanksgiving to God. She would raise him up in the weaning period which was longer than what we know of today. She stayed home from the yearly worship trip until she was finished. Elkanah went along with her decision on this. On the surface, this looks like she is trying to influence God in answering her prayer. It actually shows her trust in God. Whether a vow is right or wrong in God’s eyes is not the what God looks at. It is the heart that God reads, not the vow. People of this culture made vows to God frequently. God answered her prayer not Eli. So often in life we trade the great peace of knowing our God for worrying about what people think. It is so easy to do. We are affected by a culture today that may be more chaotic and pagan than the culture of Hannah’s day. We, however, have greater options in that we live under a new covenant with the grace of knowing our Lord Jesus Christ and what his life means to us. We have power, love and peace because of the assurance that was his is now ours. It is something we need to remind each other about as we deal with our own challenges of living in this world. Isn’t that what the ministry of reconciliation is all about? God is the author and offerer of love and encouragement, the devil is the pusher of evil and oppression. Most believe that Elkanah was a levite and lived in Ephraim. Levites didn’t own land and therefore were found throughout other tribes. Elkanah went yearly to worship at Shiloh were the Ark of the Covenant was located. His two wives and children went with him. God is the true leader and protector of his people as the ‘Lord of Hosts’ Hannah uses the same name when she prayed to God for a son as recorded in I Samuel 1:11. A ‘host’ can can be an angelic army or a human army. Regardless, the effect is on protection. Since the events recorded in Genesis 3, another negative force gained access to the people of the earth as it still does today. Where people chose to ignore God, things became contaminated and opened the door for a world to exist that was not like it was when God made it originally. Polygamy wasn’t God’s idea, it was man’s. God worked through those he could work through to protect his people. People in the Old Testament were in the dark about the devil and his influence. Many attributed the evil struggles that existed to God. People do the same today even though we live in in the New Covenant period of the risen Messiah. Jesus Christ’s purpose (I John 3:8) in bringing in the New Testament Covenant, was to destroy the works of evil. God is all good. There is no darkness in him at all. We limit God when we accept the darkness that the world has to offer as being from God. Hannah was someone who loved God. It is significant that she was instrumental in helping the dire situation that had developed in the culture of the twelve tribes. She had a baby named Samuel who would grow up, hear from God, judge Israel, and anoint David who was also well aware of the Lord God of Hosts. David addresses God as the ‘Lord of Hosts several times in the books of Samuel. David relied on the Lord of Hosts.